Duane Vermeulen has been ruled out of the Rugby Championship because of a knee injury. 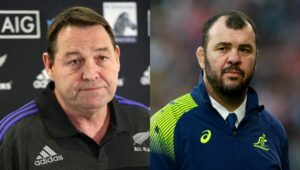 The No 8 suffered the injury while playing for French club Toulon and was on Saturday withdrawn from the Springbok squad. The Boks face Argentina in Nelspruit next Saturday in their opening match of the Rugby Championship. Vermeulen underwent a MRI scan on Friday evening after playing for his club and he will in all likelihood undergo surgery next week to repair damages caused by the recurring injury to his right knee. 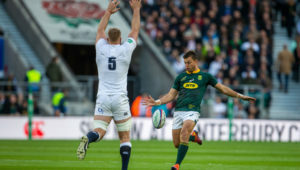 The Springbok management has confirmed that for now, no replacement will be called up as they feel the squad currently has sufficient cover among the loose forwards for the first Test against Argentina. They will assess the situation thereafter. 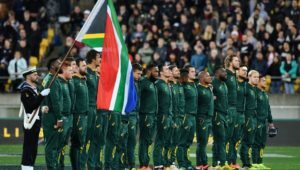 Meanwhile, the Bok squad reassembles on Sunday in Johannesburg to resume with their preparations for the Pumas encounter.